As mentioned above, acorn squash is extremely nutrient-dense for its size, but also, it has a diverse range of nutrients. It is rich in dietary fiber, as are more fruits and vegetables, while also being very low in saturated fat, cholesterol, and sodium. In terms of vitamins and minerals, acorn squash has significant levels of vitamin C, vitamin A, thiamin, pantothenic acid, and other B-family vitamins, and its range of minerals is truly impressive, including potassium, magnesium, manganese, iron, copper, phosphorous, and calcium. Immune System Boost: Acorn Squash is a great source of vitamin C, which is one of the best ways to boost your immune system. Vitamin C, also known as absorbic acid, stimulates the production of white blood cells which defend the body from pathogens and other unwanted germs/microbes. Futhermore, vitamin C is an important part of the body's development, in terms of muscle tissure, blood vessels, teeth, skin, and organs. Vitamin C also works as an antioxidant, helping protect the body from more serious conditions, such as heart disease and certain cancers. Improve Vision Health: Vitamin A is found in significant quantities in acorn squash, and while that isn’t an unusual vitamin to find, high levels mean high levels of beta carotene as well, which is a very good antioxidant to have in out system. 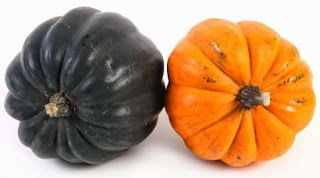 Specifically, beta carotene has been directly linked to reducing oxidative stress in the eyes, which means that cataracts and macular degeneration can be prevented with proper intake of the vitamin A in acorn squash. Skin Health: Along with protecting the eyes, vitamin A also plays an important role in maintaining skin health.The antioxidant compounds derived from vitamin A, as well as other vitamins found in acorn squash, ensure that the skin looks young and full of color, while also helping to eliminate blemishes and scars, speed the healing of wounds, and protect the skin from pathogens and premature aging. Digestion and Diabetes: Perhaps the most significant component found in acorn squash is dietary fiber. A single serving of acorn squash contains 9 grams of fiber, which is more than 1/3 of the daily requirement. Fiber regulates our digestion by adding bulk to our bowel movements and eliminating constipation, diarrhea, cramping, and bloating. Furthermore, dietary fiber helps to regulate the levels of blood sugar in the body, thereby helping to prevent the development of diabetes, and also to help those suffering from diabetes with maintaining stable glucose levels. Finally, dietary fiber helps eliminate excess cholesterol in the body, thereby preventing atherosclerosis and subsequent cardiovascular conditions like strokes and heart attacks. Blood Pressure: The high content of potassium found in this delicious variety of squash means that blood pressure can be maintained at a safe level. Potassium is a vasodilator, meaning that it relaxes blood vessels and arteries, thereby reducing stress on the heart and lowering blood pressure. Potassium also helps to regulate the fluid balance in the cells and tissues, boosting metabolic efficiency and keeping our enzymatic and cellular pathways functioning properly. Magnesium regulates the uptake of potassium, so the high content of magnesium in acorn squash makes these effects even stronger. Strong Bones: Acorn Squash has a wide variety of minerals, including calcium, manganese, magnesium, copper, iron, and phosphorous. Many of these minerals are integral parts in the development of new bones, as well as the regrowth and healing of the bone matter we already have. Sufficient mineral diversity in the body can help to prevent osteoporosis and ensure that our bones remain strong and functional well into our later years. Cancer Prevention: Antioxidants are found in many foods, but acorn squash is particularly fortunate to have very high levels of vitamin C and beta carotene, two very effective antioxidant compounds. This means that free radicals can more easily be neutralized before causing mutations in healthy cells. Along with preventing various types of cancer, antioxidants like those found in acorn squash also prevent cognitive disorders, premature, aging, and a range of other serious health conditions that are often associated with oxidative stress from free radicals. A Final Word of Caution: Acorn squash is very high in carbohydrates, and while there aren’t any simple sugars in acorn squash, as you would normally find in carbohydrates, they still fill the body up in terms of calories. Those on low-carb diets should probably choose another fruit to complement their dietary restrictions. Hurry and Save on PiYo ~ November Only! !